Japanese businessmen believe, "If you pay, it's not cheating." 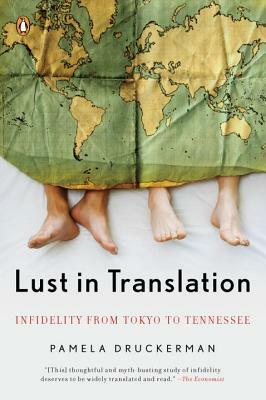 Voyeuristic and packed with eyebrow-raising statistics and interviews, Lust in Translation is her funny and fact-filled world tour of infidelity that will give new meaning to the phrase "practicing monogamy." Pamela Druckerman is a former staff reporter for the Wall Street Journal, where she covered foreign affairs. She has also written for the New York Times and the Washington Post, and has appeared on the Today Show and NPR's Morning Edition, among many other outlets. She is the author of the international bestseller Bringing up Bébé and Lust in Translation, which was translated into eight languages. She has a master's degree in international affairs from Columbia University, and lives in Paris. "[Druckerman's] finely calibrated moral compass is matched by a reporter's knack for deft, understated description....[This] thoughtful and myth-busting study of infidelity deserves to be widely translated and read." "A witty, engaging exploration of comparative infidelity. . . . Undeniably alluring." "Colorfully told. . . . Entertaining." "[Druckerman's] finely calibrated moral compass is matched by a reporter's knack for deft, understated description."